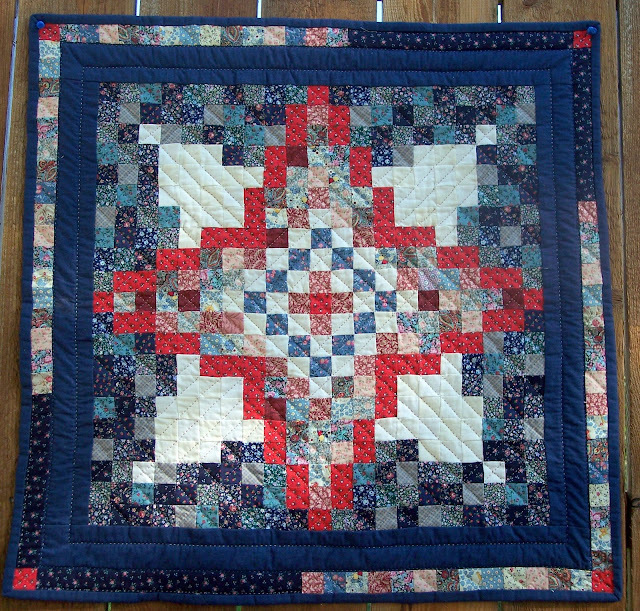 I have a quilt book of everything I've quilted or tops I've pieced. I was looking through it and this is one of the first book quilts. It's for book one, I've come along way. I was with the printer this morning and everything is looking good. 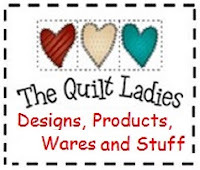 Book 8 is the largest and has to be stapled differently, so hopefully next week, I'm hoping Monday, I'll be a printed author, of The Quilt Ladies Collection. What a great trip, and maybe a WILD ride. This is pictured hanging on the fence in Sioux City, IA, at was when the boys were home. WOW.A bit ago. My next project, I'm going to do something little, cutting 1 inch blocks and going to have fun, not going to graph anything, just going to play.